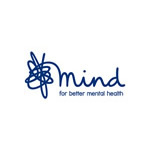 Mind is a mental health charity that believes that no one should have to face a mental health problem alone. Whether you or someone you know is depressed or in a crisis, Mind will provide the help and support you need. Discover the range of beautifully designed charity Christmas cards from Mind, available to buy now -- simply select your cards in our online shop or visit your local pop-up shop.